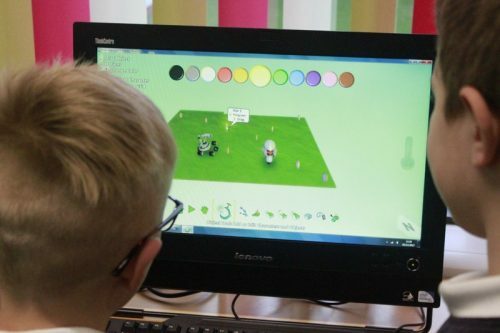 Some of the children grasped today’s task and really enjoyed Kodu. 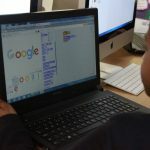 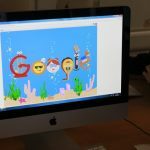 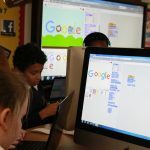 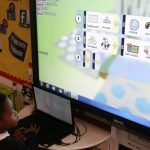 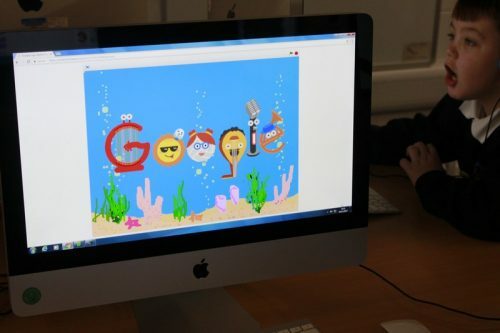 As part of Computer Science Week, Year 4 Robins have used Scratch to create and animate their own Google logos. 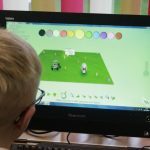 The children made the letters dance, tell a story and some created a game. 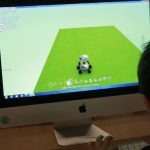 They used different blocks to add motion, change of colour and size. 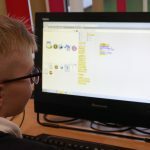 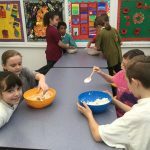 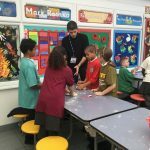 The children demonstrated their knowledge of Scratch from the past few weeks. 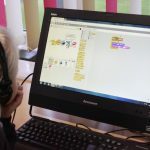 In Computing, Year 4 Robins have created Knock Knock jokes in Scratch and then added their voice recordings to the program. 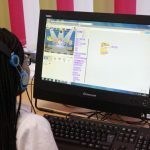 The objective of the lesson was to add two sprites telling each other jokes and then adding sound recording for each character. 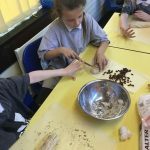 Here are some examples of the children’s work.